Looking at the front of the box and it's adorned by a face on shot of the keyboard, along with the switch type the keyboard has and a bit of information surrounding the app integrations. 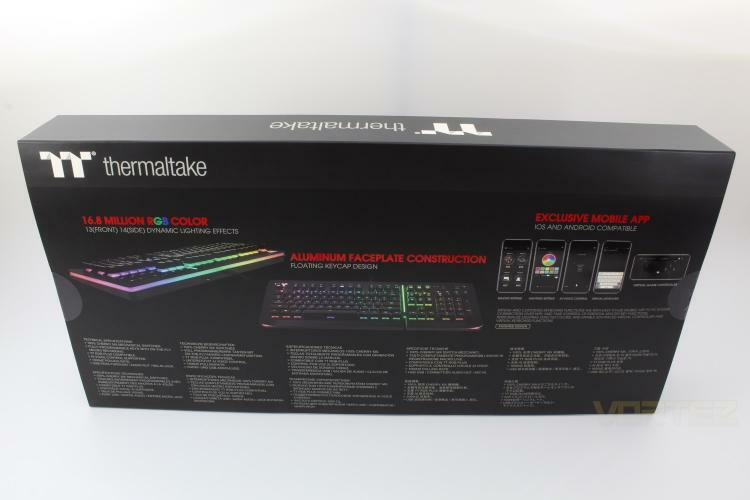 Turning the box around and focusing on the back and we can see Thermaltake have included a list of features in various languages along the bottom half of the box. The top half of the box is dedicated to the RGB, construction choices & a bit more information around the mobile app. 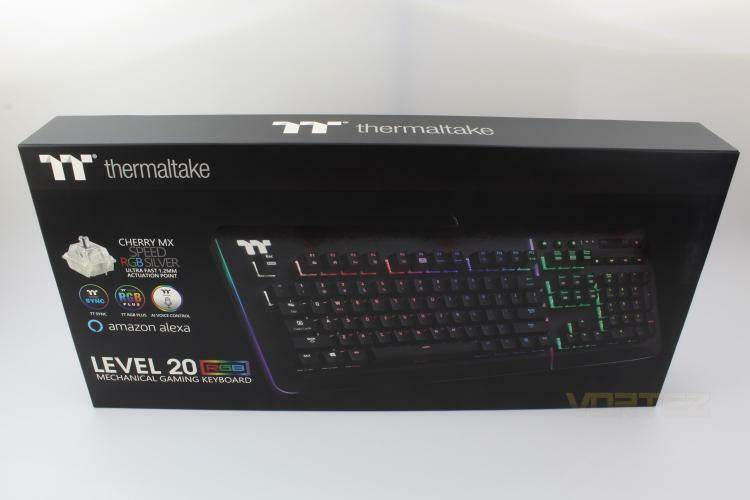 Opening the outer & inner box up and we can see that the Thermaltake Level 20 Titanium keyboard is really well packed and even the most vicious of delivery drivers would have to be deliberately trying to damage the keyboard to succeed. 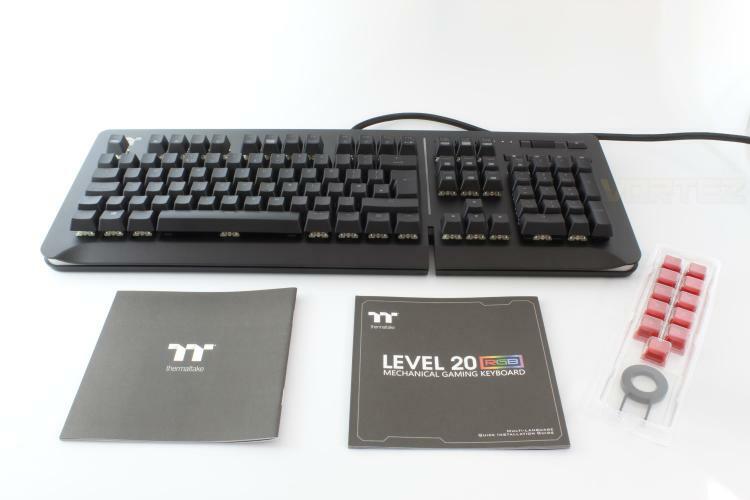 Removing the keyboard and accessories from the protective packaging and we get our first look at the aluminium face-plated keyboard, as well as the replacement key caps which are quite high quality, however the keycap puller is not the best, and we found that it was scratching the paint off the original key caps. 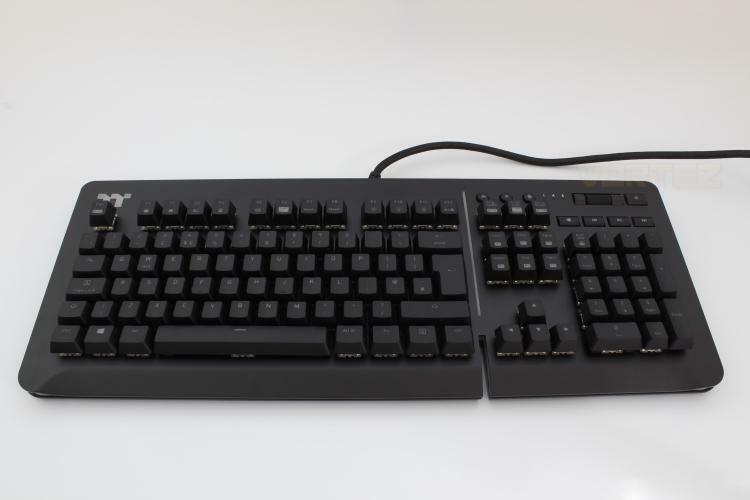 Taking a closer look and we can see that there is an RGB Thermaltake logo in the top left, as well as a light bar separating the number pad & media keys and the typing set.